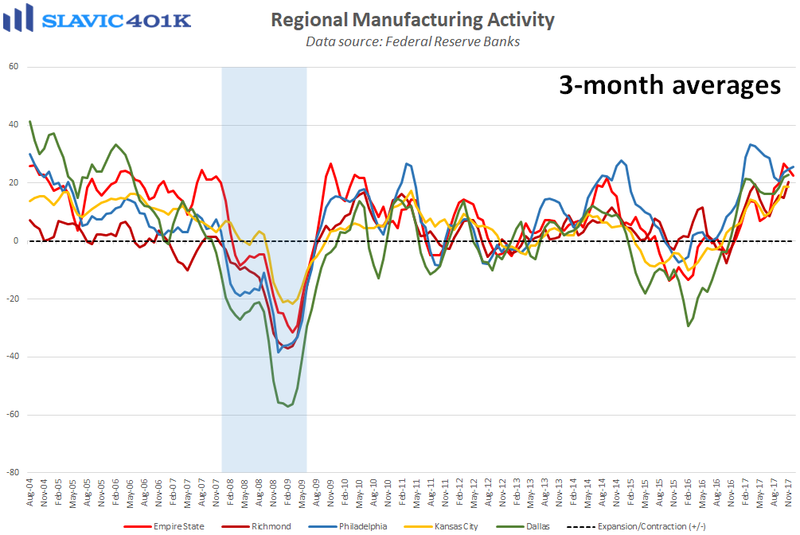 Manufacturing activity in the Mid-Atlantic region of the country expanded at a faster pace this month, according to a new report from the Federal Reserve Bank of Philadelphia (FRBP). 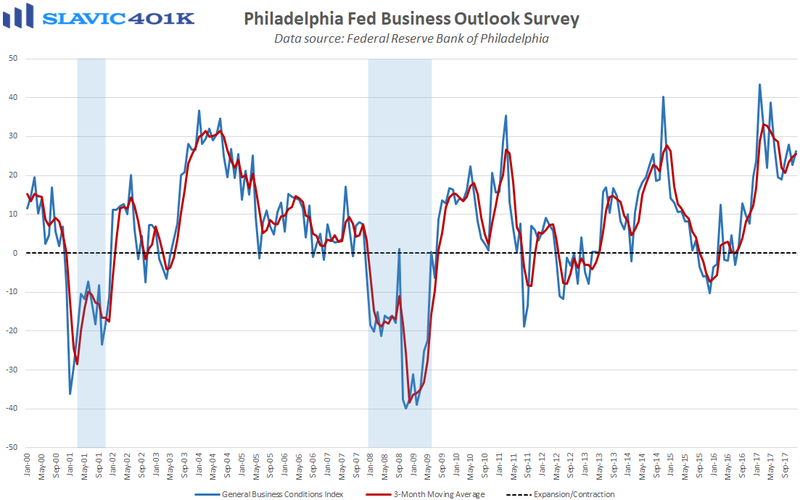 Specifically, the general business conditions index rose from +22.7 to +26.2 in December, much better than anticipated. Under the hood, current measures of new orders, shipments, and profit margins improved this month, but gauges of total employment and hours worked deteriorated. Forward-looking indicators (six months ahead) were a bit more mixed in December, but reported plans to make capital expenditures increased, which is supportive of faster GDP growth. Managers in this month’s survey were also asked a few special questions about their expectations for various input and labor costs in the coming year. Respondents on average forecast a 7.1 percent jump in the cost of worker healthcare benefits in 2018, along with a 2.7 percent rise in employee compensation. For all categories of expenses, surveyed managers, on balance, see increases greater than what was experienced in 2017.